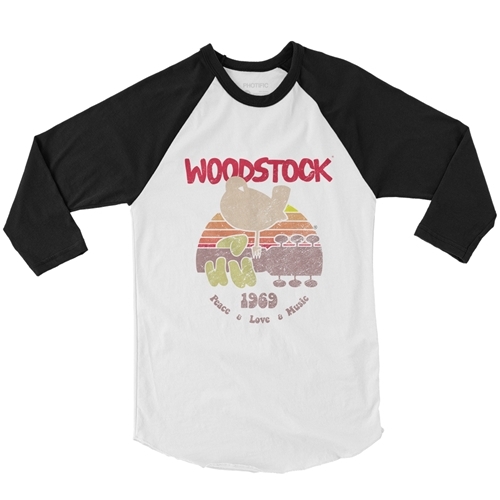 Official Woodstock T-Shirt! 50th Anniversary! This design features the official Woodstock bird and guitar, in front of a setting sun with the Woodstock logo. The Woodstock Baseball Tee is a comfortable, lightweight 4 oz 91/9 poly/ringspun cotton tee with regular sizing.